Visual Studio Code>Themes>Ayu AdaptiveNew to Visual Studio Code? Get it now. 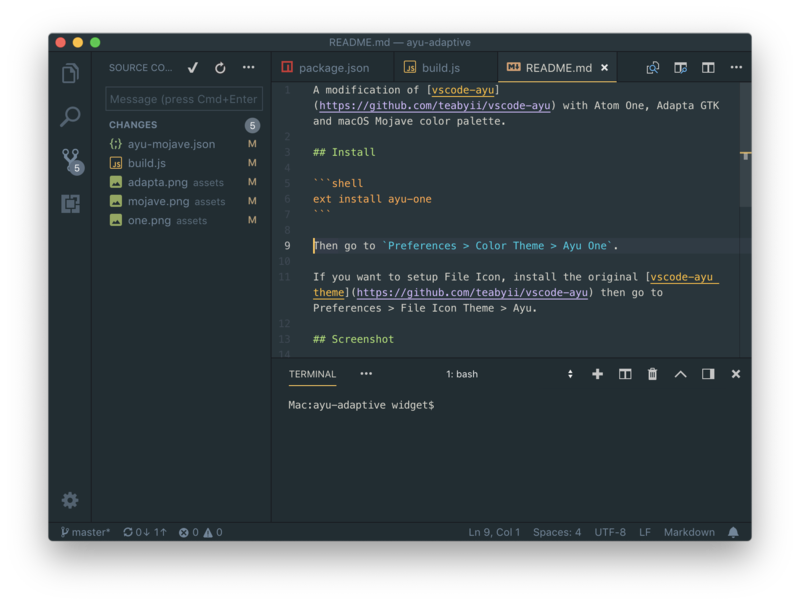 A modification of Ayu theme with Atom One, Adapta GTK and macOS Mojave color palette. 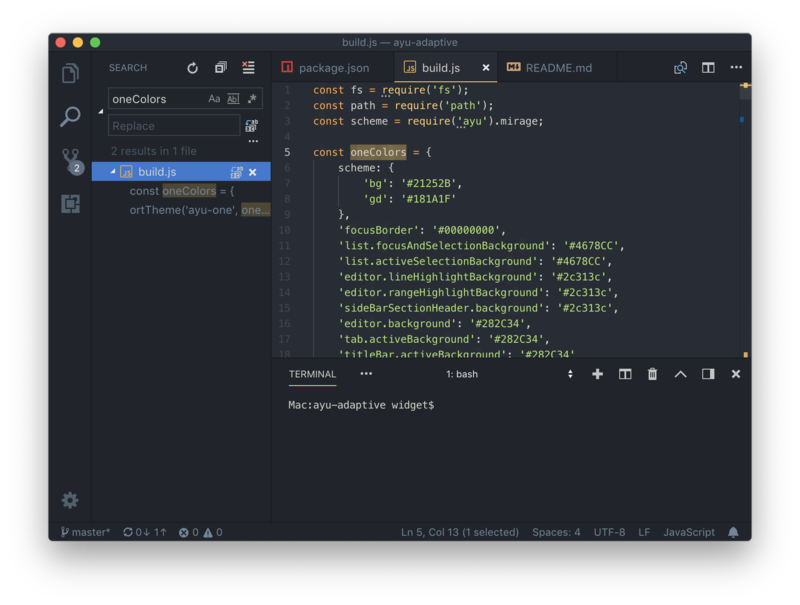 A modification of vscode-ayu with Atom One, Adapta GTK and macOS Mojave color palette. Then go to Preferences > Color Theme > Ayu One. 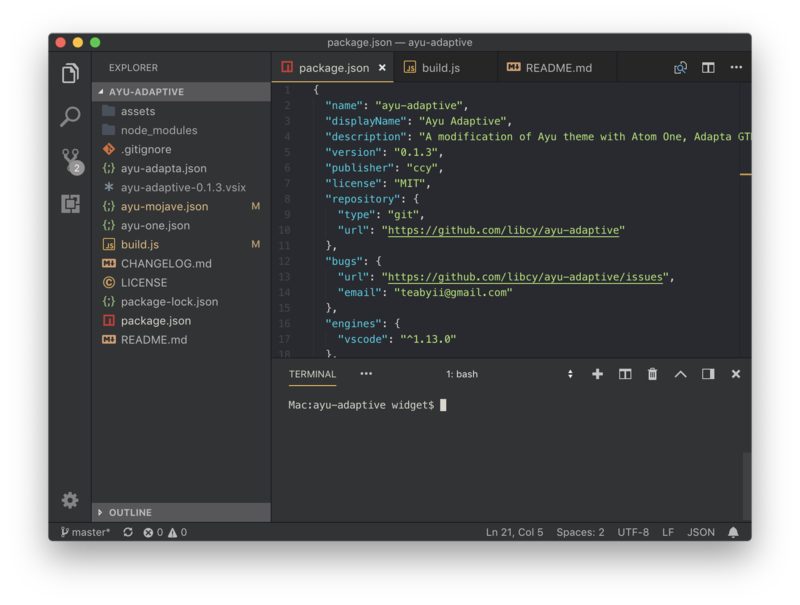 If you want to setup File Icon, install the original vscode-ayu theme then go to Preferences > File Icon Theme > Ayu.